We live in a world in which everything tends to be managed by a touch of a button, but our bodies are still the same as they were a million years ago … made to move. Even when we are standing still, there is always something going on in the inside: Our hearts beat, smooth muscles of internal organs flex without our knowledge, blood circulates, lymph moves, breathing never stops … all these processes maintain our existence, without us moving an inch. More than 200 bones and more than 600 skeletal muscles enable our bodies the movement that can also be seen on the outside. And this movement is necessary to maintain our health. Sadly, this only holds water in theory. Today’s lifestyle pushes us to spend time sitting in front of a computer, and even our free time tends to be spend in front of a television. Not moving robs us from our health and has the same consequences as aging. Gerontologists, the experts that investigate the process of aging, had proven that 21 days of bad rest has the same consequences as 30 long years of living, or in other words, aging. Not moving our bodies makes us sick. Many think physical activity needs to be difficult and exhausting. That isn’t true, if our goal is health. The important thing is to allow our body to function as it is meant to. Healthy exercise should take care of the circulation of body fluids, has to oppose gravity, and needs to be fun. The human body never holds on to something it does not use. 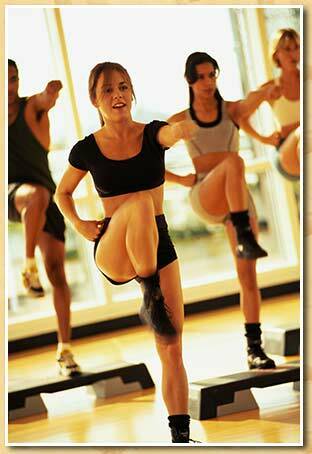 If we do not move our bodies enough, our skeletal muscles will diminish and our joints will get stiff. Moving our bodies also helps to maintain the health of our internal organs – it massages them gently. Exercise also helps us to maintain normal body weight, reduce the possibility of heart disease, diabetes, cancer and digestion problems, regain mental clarity and, of course, prolong life. Nowadays we rarely eat just as much as we need: body weight is a problem. The battle with extra pounds will most likely be easier if you include some exercise in your daily routine. Even 30 minutes of physical activity a day will be enough in the beginning. Combine some cardio workout with strength exercises, because each of them has its own benefits. If you choose an exercise you enjoy, it becomes a habit and not just a chore. Simply start by walking or cycling to work, if this is at all possible. Heart disease is far more common than we tend to think, and not moving our bodies is one of causes. Type II diabetes use to be a disease of elderly people, but these days it is also common among children. Physical activity helps lowering blood sugar levels and helps the body to secret right amounts of hormone insulin. Researches have proven that strength exercise is the most effective in preventing diabetes, so make sure you include it in your exercise routine. Exercise can also help prevent cancer. With moving our bodies we are most likely to prevent breast and colon cancer. Even those, who have already survived cancer will benefit from exercise, because it will regain ones vitality. 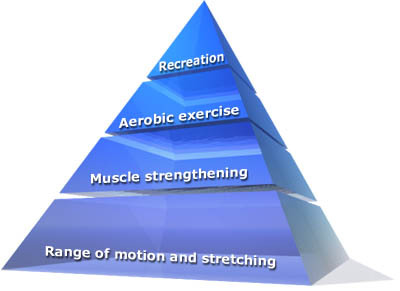 One of the most obvious and known benefits of exercise is its affect on muscles and bones. Bones are loosing their density with age, which can lead to osteoporosis. Regular physical activity during which our bones carry our body weight, strengthens them and slows down the loss of mineral mass. The same is true for our muscles. Exercises that strengthen them will maintain them, otherwise you will loose 6% of it every 10 years, after the age of 40. The last, but not least, is our mental health, which is also very influenced by moving of our bodies. You will be able to think clearly, focus, learn and stay positive. It is known that exercise is the greatest medicine for depression, which can be characterized as a disease of a modern man. Moving your body truly is a life force of a healthy living. If you really want to live, and not just survive, than make exercise your priority. Your body will be grateful.